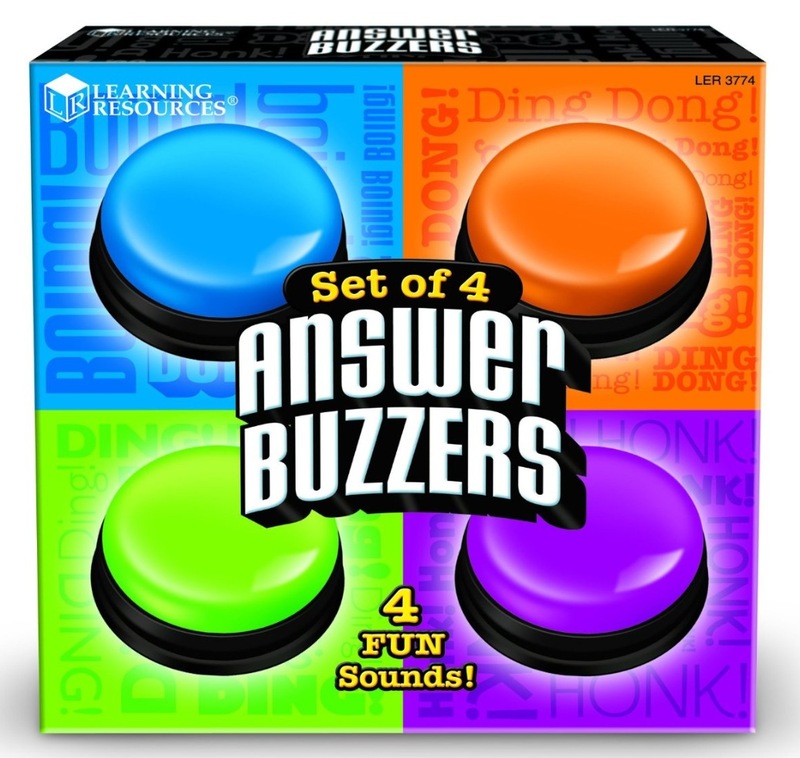 A quick search for “Answer Buzzers” on Amazon will provide you with a link to something like this. They are a great way of adding a bit of fun to team revision quizzes with the teacher in the hotseat as the quizmaster! In team quizzes, I usually nominate one person in each team to be the only one permitted to press the buzzer. The other team members have to whisper the answer to them and they have to decide when to press their buzzer. It adds a bit more tension! You can have a ‘nominated player’ round, where the teacher (or the team) nominates just one person allowed to answer the question in each round, without conferring.